Under the deal, Metro and Heineken will produce a double-page spread in the freesheet every Monday from 14 July, which will be a guide to the best events and experiences in London that week. The idea is that it will "entice London audiences to get out and explore the varied events and locations that London offers, including Lovebox, secret gigs and urban art fairs". The Metro partnership is part of a fully integrated campaign designed to encourage consumers to explore their city and "cross borders". A national TV campaign, outdoor and press, sponsorship, digital, PR and a limited edition bottle are also part of the campaign. The drive will be further developed online to Metro’s 14.4 million UK unique browsers. There will be a ‘London Unlocked’ hub on metro.co.uk which will house weekly, sharable content dedicated to getting the most out of London. As part of the wider campaign, Heineken will also team up with Everyman and Street Food to open Battersea Power Station for a seven-week outdoor cinema and street food event at the Battersea Pop-Up Park until 31 August. This will be the last summer the public will have access to the park before that area of the 42-acre becomes part of the redevelopment progresses. 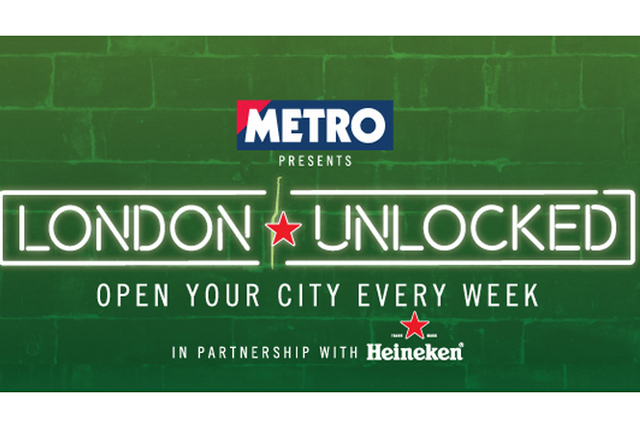 Heineken marketing director Jacco van der Linden said: "Our ambition with our ‘Open Your City’ campaign is to unlock London for our ‘men of the world’ through premium experiences. "We know they are hungry for new experiences and this campaign looks to motivate and inspire them to step out of their comfort zone and explore the villages that make up London from Shoreditch to Brixton and Camden to Battersea," he added.